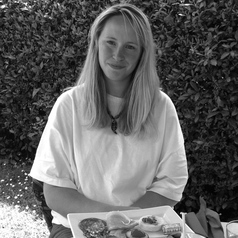 I began my working life as a qualified nanny and nursery practitioner. Whilst working as a nanny in Winchester, I also drew on my passion for storytelling and poetry to set up and lead an early years drama group. My passion for the early years continued to grow and in the early 2000s I gained a degree in early childhood studies at Froebel College, Roehampton University and went on to study for a Masters degree. My first experience of teaching in higher education was working as a part-time lecturer on the Early Childhood Studies degree at Roehampton University. In 2009 I gained my first full-time lecturing role at the University of East Anglia (UEA) where I was lucky enough to work with and support groups of passionate Early Years Professional Status students, so many of whom are now wonderfully inspirational practitioners in a variety of early years settings across the country. Currently, I am a Senior Lecturer in Early Childhood Education at Bath Spa University and nearing the end of a PhD from UEA. My doctorate adopts a Bakhtinian carnivalesque lens to explore the nature and place of young children's humour in early years settings, and the significance of practitioner's thoughts about and responses to young children's humour in the context of early years practice.